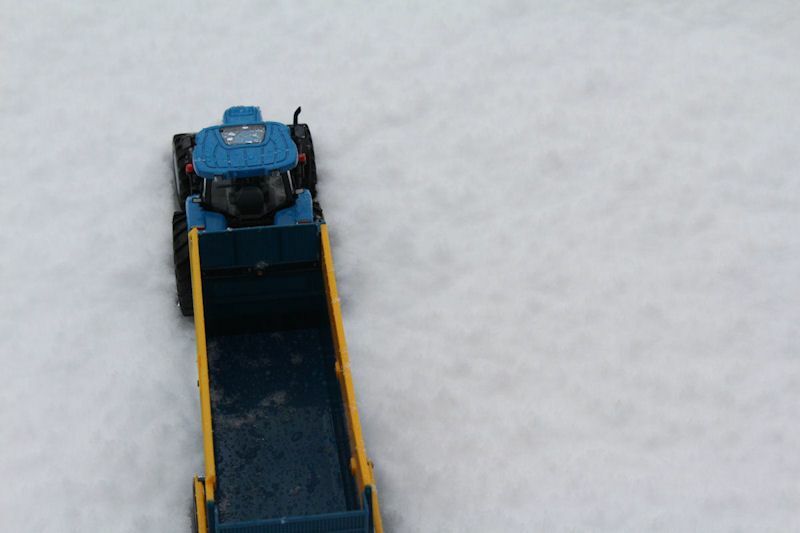 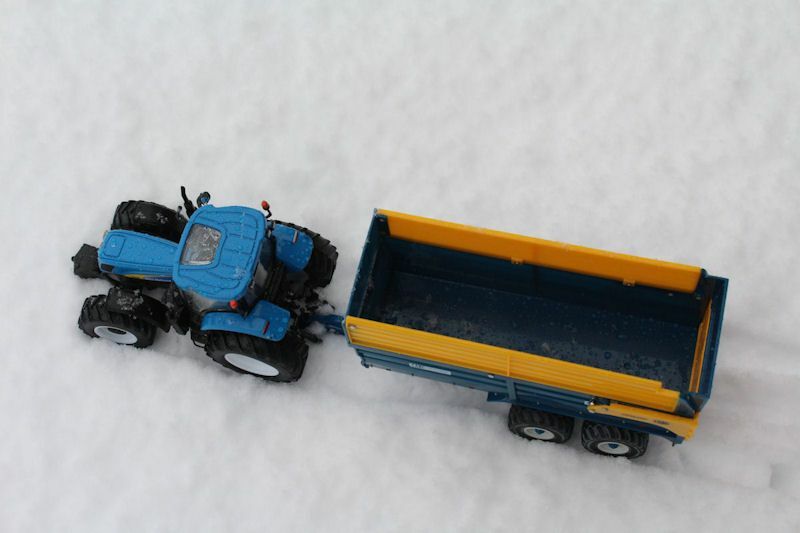 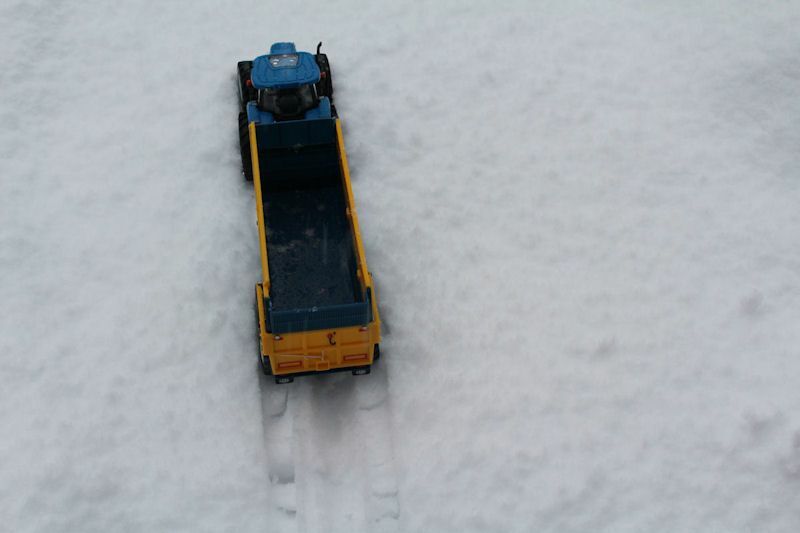 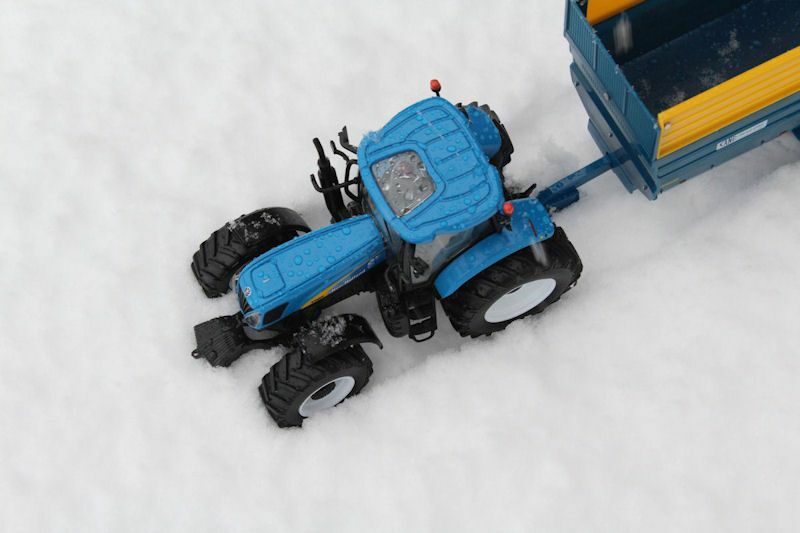 We've taken full advantage of a recent snowfall by taking Britains New Holland tractor and trailer for drive in the snow. 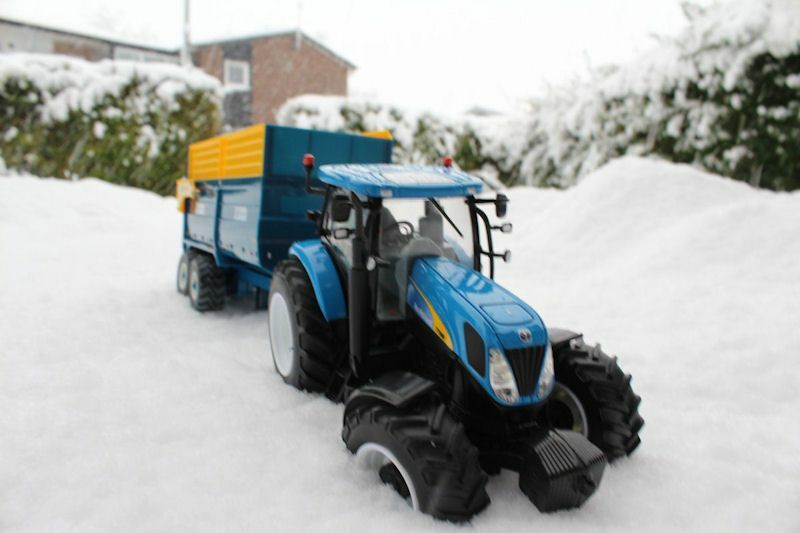 In an authentic snowy scene, we set Britains (42301) New Holland T7060 tractor and Britains Kane (42700) 16 tonne silage trailer in a bright white snowy surrounding. 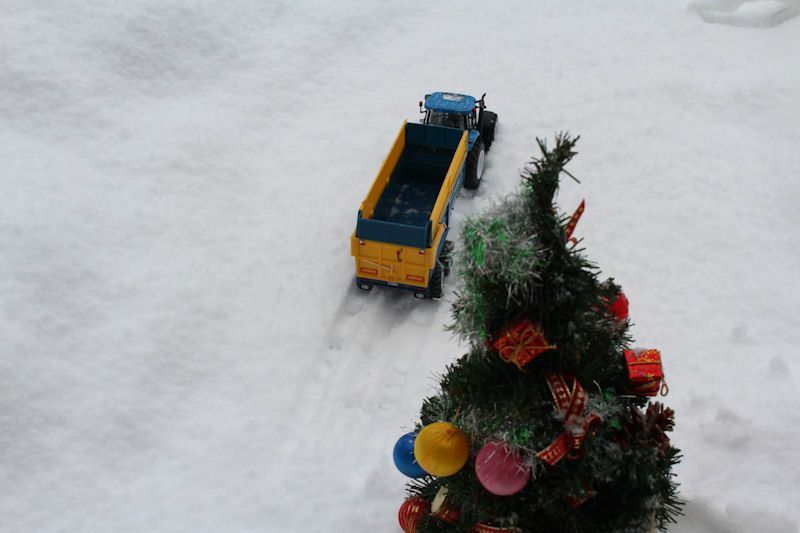 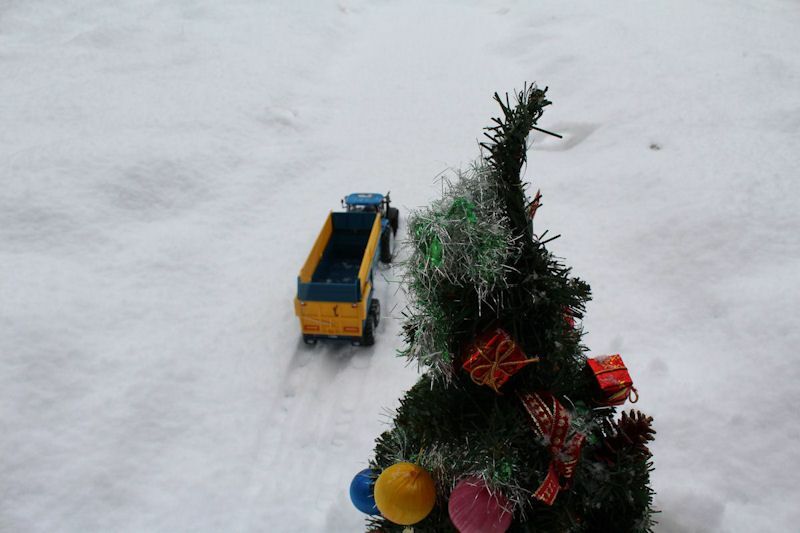 Its passing a miniature, decorative Christmas tree, with a few shots from above with tire track marks trailing behind. 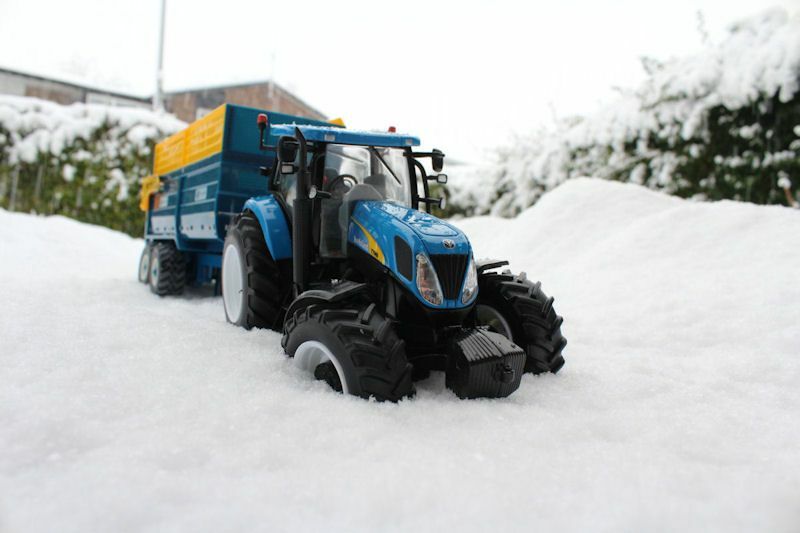 It was a difficult shoot, with snow pouring down, resulting in us taking these pictures with an umbrella protecting the camera and equipment.